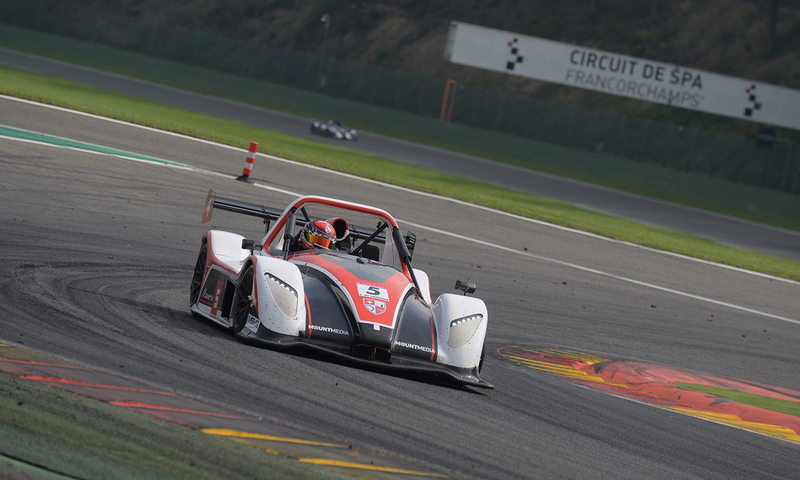 Victory may have eluded him but two second places for Jerome de Sadeleer were ample reward for his debut at Spa Francorchamps in the Radical Challenge. 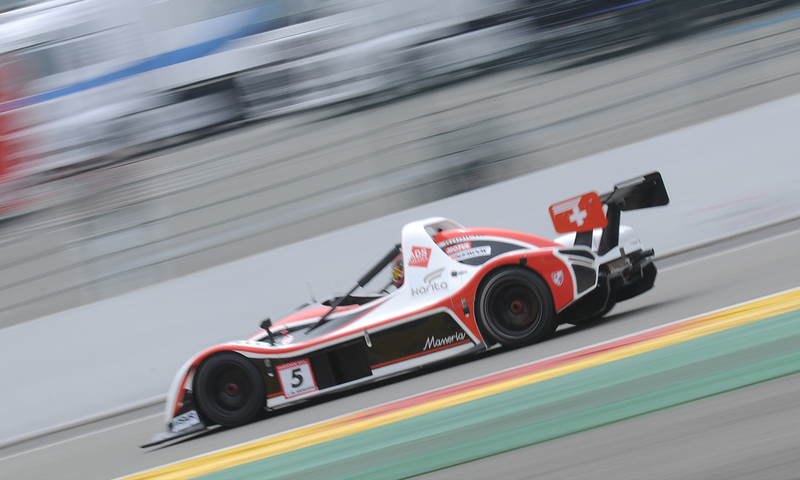 He qualified his 360 Racing SR3 in second, between title contenders Dominik Jackson and Steve Burgess, while team mates Jason Rishover and Martin Verity finished eighth and 12th respectively. In Saturday’s race De Sadeleer settled in second and tried to stay in touch with Jackson’s lead, while consolidating his own place. But once Andrew Ferguson’s invitation SR8 got between them, the gap started to widen before the pitstop window opened. On rejoining there was a four second deficit to Jackson, despite staling in the pits, but once again Ferguson got between them and the gap doubled. He retained a comfortable second however, over 16 seconds clear of Kristian Jeffrey. Rishover had started well, holding seventh in the initial laps, before losing a couple of places. He settled in eighth before his stop, but lost ground in the second half and finally finished 16th. An early duel with Brian Caudwell kept Verity on his toes, sharing a couple of exchanges before he settled in 11th. But after a consistent start to the second half a top 10 finish looked likely, until he got caught. “I had a bit of a battle at the start, but at the end my tyres had gone off and Adrian Watt got me when I over defended at La Source. Elliott Goodman almost got me too, but the car was much better and I really enjoyed it,” he said. At the start of the second race De Sadeleer found himself trying to prise open the rigid defence of Marcelo Marateotto for fourth place. He didn’t manage it, but they both ousted Kristian Jeffrey on the lap and continued to run close as they both reeled in Steve Burgess for second. Marateotto got by on the last lap, but De Sadeleer was unable to follow, taking the flag in fourth, but only 0.483secs away from a second podium of the weekend. Rishover was well inside the top 10 for the whole race. From sixth on the opening lap, he also usurped Jeffrey a couple of laps later and followed team mate De Sadeleer to the flag in fifth. Any hopes Verity had of improving on his race one position were dashed on the opening lap. “I had a reasonable start and had just taken Brian Caudwell at the end of the Kemmel Straight, then John Caudwell hit me in the rear hard and pushed me off. It stripped the starter motor and drive gear, damaging the engine, so my weekend was over,” he explained. Having chased Marateotto for much of race two, De Sadeleer found himself in a similar situation again in the third and final race of the weekend. Having shadowed his rival for four laps, he managed to overtake and tried to chase down leader Jackson. After pitting from second he re-joined in fourth, hunting a three-way fight for the lead. But Burgess spun at the Bruxelles Hairpin on the last lap, delayed Marateotto and although they were still second and third on the road, both were given post-race penalties for short stops, handing second to De Sadeleer. 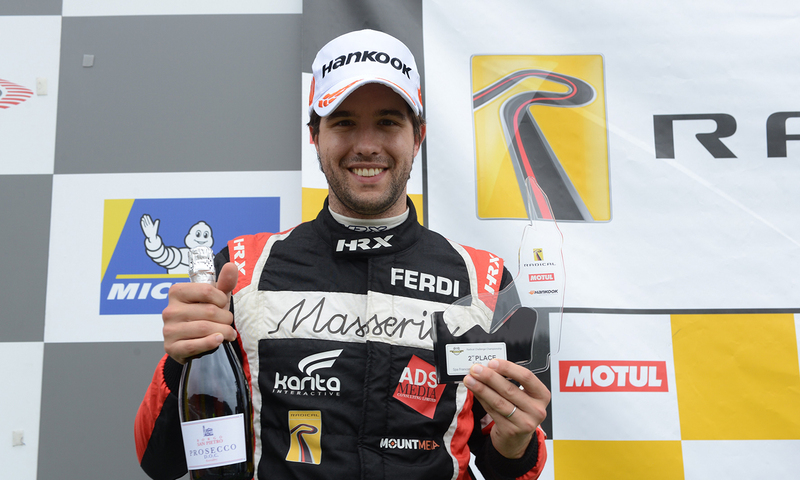 “Two podiums at Spa is a dream, but the car was terrific and I could get used to this,” he said. Rishover also completed his weekend with a second top 10 finish, having secured his place during the second half.